Surrogacy is a form of assisted reproductive technology and involves a woman who carries a child through a pregnancy for another individual or couple. In Traditional Surrogacy, the woman carrying the fetus also supplies the egg to create the pregnancy and often results from Artificial Insemination ("AI") using a known sperm donor or unknown sperm donor. 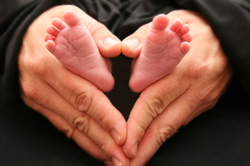 In many jurisdictions Traditional Surrogacy is prohibited or treated as an adoption since the surrogate is also the biological mother. Traditional Surrogates should not be compensated since doing so violates the laws in a majority of jurisdictions. Gestational Surrogacy, by contrast, results from in vitro fertilization. A Gestational Surrogate is not the biological mother of the child as she does not provide the egg. Instead, the egg is provided by an egg donor or, by the Intended Mother. The egg is fertilized by the sperm of a Donor or the Intended Father through the process of in vitro fertilization, then grown into an embryo, and then implanted into the gestational surrogate. Building your family through the use of a Gestational Surrogate and/or Egg or Sperm Donor is complicated. Once potential candidates have been identified, the process of ensuring that they qualify medically and psychologically can be time-consuming and expensive. You must have lawyers and medical professionals to assist you in this process. The serious nature of the legal rights in a Gestational Surrogacy, Egg Donor or Sperm Donor agreement necessitates the participation of trained and licensed professionals. You should only proceed after you have a drafted a reasonably detailed agreement, which delineates the rights and responsibilities of the Intended Parents and the Surrogate and clearly stipulates which State laws will apply. It is only through this process that the parties subject to the contract can have confidence that a child born through the surrogacy/egg/sperm donation program will reduce any potential legal conflict. This then allows them to enjoy the pregnancy and hopefully develop a close supportive relationship with the Surrogate. In Maryland, there are no statutes governing Surrogacy. There is an evolving body of legal precedent that recognizes the Intended Parents as the legal parents, and the courts follow this precedent to order that the birth certificate be amended to reflect the child's parents. The Maryland courts will consider if there is a sufficient "nexus" to Maryland to allow jurisdiction to apply Maryland law. When Maryland has jurisdiction, the court will issue a Birth Orders both pre-birth and, if necessary, post-birth so that the gestational carrier is not listed as the parent of the child. Virginia Statutes provide a legal method for obtaining a pre-birth order, which allows placement of the name(s) of the intended parent(s) on the original birth certificate. However, the pre-birth order process is intrusive and expensive especially because it requires that a home study and much of the process be completed prior to embryo transfer. The more common process for surrogate mother arrangements in Viriginia involves two basic steps: First is entering into a contract governed by Virginia law prior to the assisted reproductive technology procedure (artificial insemination or in vitro placement) takes place. Second is having the birth certificate amended after the birth of the child. This two-step process is relatively simple and can be done as long as the child is born in Virginia and at least one intended parent is genetically related to the child. The birth certificate amendment paperwork cannot be signed until 72 hours after the birth of the child. For children born outside of Virginia, a court order is required and the process is more involved but can be accomplished via an Order of Parentage and, when necessary, if one intended parent is not genetically related, a step-parent adoption. In the District of Columbia surrogacy is allowed as of April 7, 2017. The law is comprehensive and allows for pre-birth and post birth court orders in surrogacy matters. The full statute can be found under the Collaborative Reproduction Amendment Act of 2016. Jennifer is one of the attorneys who assisted in the drafting of the bill and worked towards its passage for the last several years. Jennifer has represented Gestational Carriers and Intended Parents her entire career. She works closely with her clients and only works with a select number of clients at a time to ensure she can provide direct and hands on, client centered services. If you are looking for a Gestational Carrier, call Jennifer to discuss your options of searching privately or using a matching program. In a Traditional Surrogacy, the Intended Parent(s) will need to file an Adoption Petition in order terminate the parental rights of the surrogate who is the biological mother of the child. Traditional Surrogacy is not used frequently because the surrogate is the child’s legal parent which increases risks and legal issues. As the child's biological mother, the traditional surrogate can assert her parentage and refuse to place the child for adoption and the surrogacy agreement will not be enforced. In Maryland there is an Attorney General opinion that made it clear that compensation to a Traditional Surrogate violates the baby selling laws and that an adoption would be necessary after the birth of the traditional surrogates child and the adoption will only be granted if the court determines the adoption is in the best interest of the child. Thus, Traditional Surrogacy entails legal, financial and emotional risks that the parties must be willing to accept. Maryland is a surrogacy "friendly" state with no statutory guidance. Virginia has a comprehensive surrogacy statute. District of Columiba has a comprehensive surrogacy statute. For a map on surrogacy across the country, you can click surrogacy map.